The Facilities Management Division is a part of the Department of Public Works. Facilities Management provides and maintains a comfortable, safe, clean and pleasant environment, in a cost effective and sustainable manner for the employees and visitors for all City facilities. Facilities Management is responsible for the operation, maintenance and remodeling of all facilities in the city. The Division monitors all energy usage in the city and administers an energy conservation program, which includes retrofits and replacements. It is also responsible for project management for planning and construction of City buildings. Ongoing Maintenance: Includes scheduled, unscheduled, emergency and daily ongoing repair and maintenance. 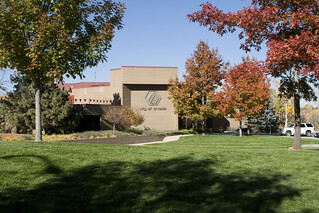 It is accomplished through two main processes, Preventive Maintenance Inspection Program and Work Orders.Daily activities include cleaning 14 major City buildings, patching and painting building interiors; re-lamping lights; moving furniture; set-up and take-down for functions at City Hall and the Arvada Center; minor plumbing repairs and sewer service; sanitizing areas; and monitoring smoke detectors and fire extinguishers. Contract services include: major plumbing, major sewer service, elevator service, fire alarm service, electronic security and surveillance, and pest control. Major Repair: Includes major repair or replacement of an existing building component designed to increase the life of the facilities. Repair projects must fall within one of the expertise’s provided by Facilities Management staff. Examples include roofs, HVAC equipment, carpet, exterior/interior painting, electrical and other major structural repairs. Some services we outsource such as, plumbing, pest control, exterior window washing and elevator maintenance. New Projects or Installations: Includes major new installations or remodeling. Examples include remodeling offices to accommodate reorganization, new security systems, and enhancements to HVAC, electrical or plumbing or items that require replacement before scheduled replacement. Also encompass building construction.